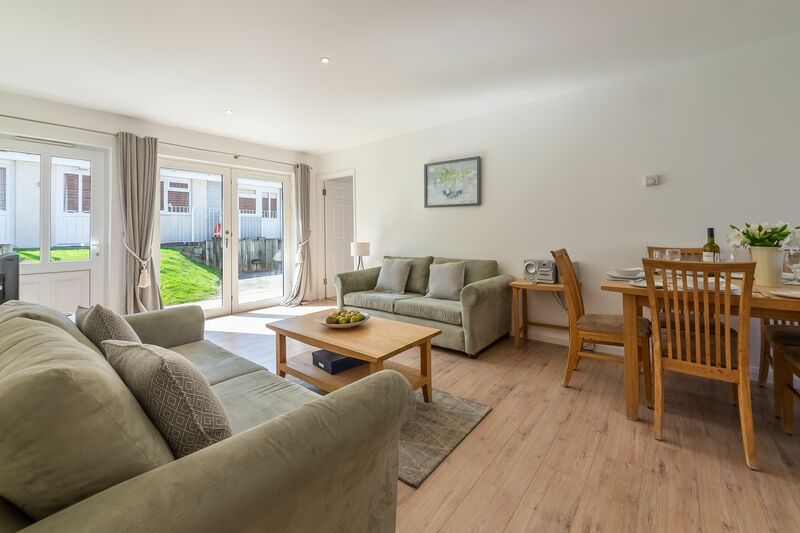 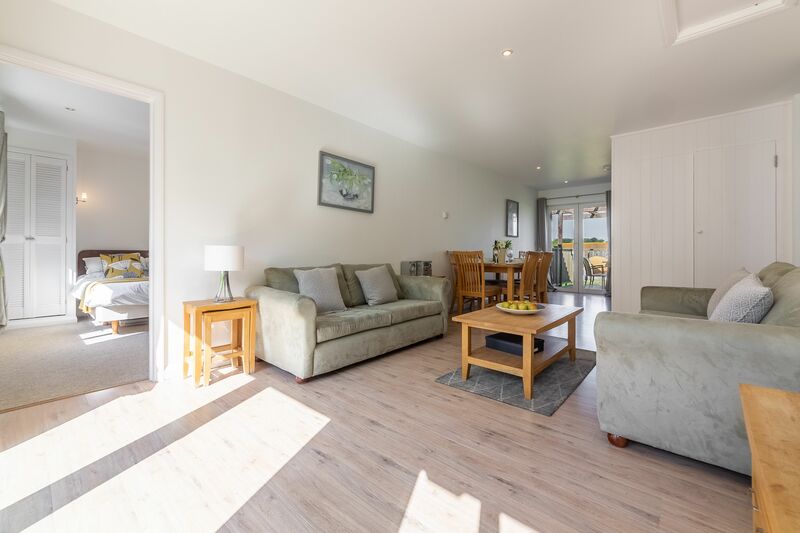 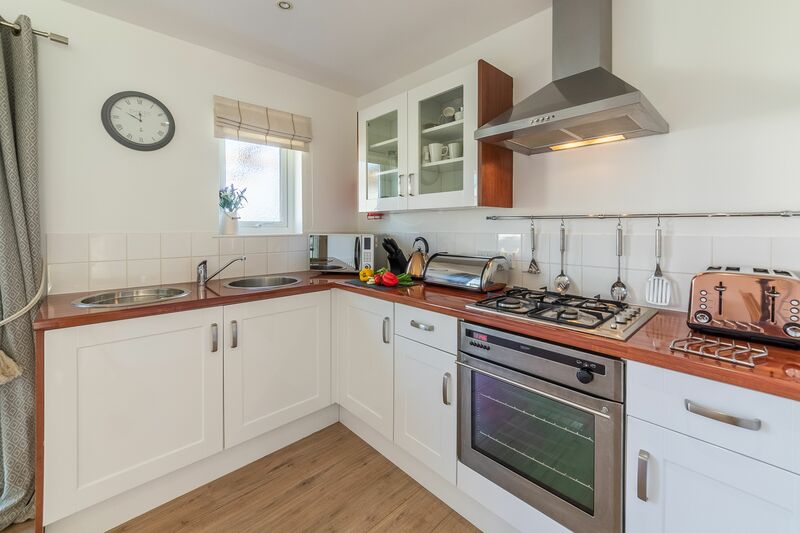 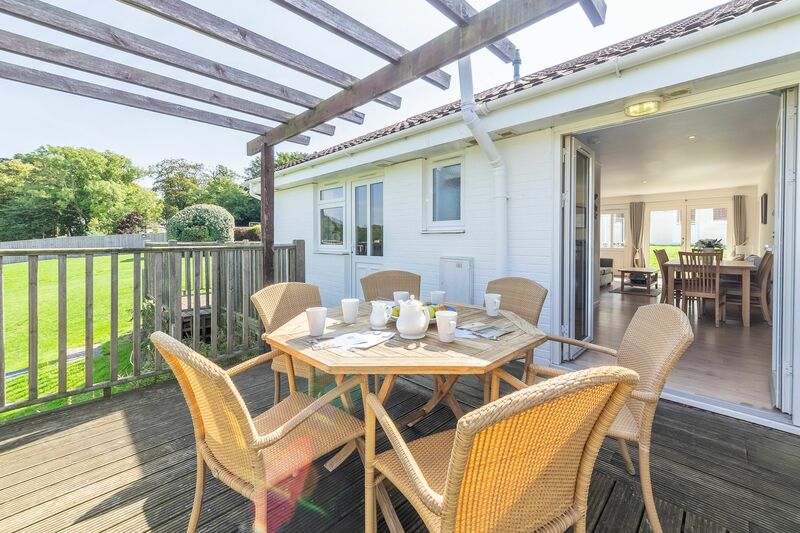 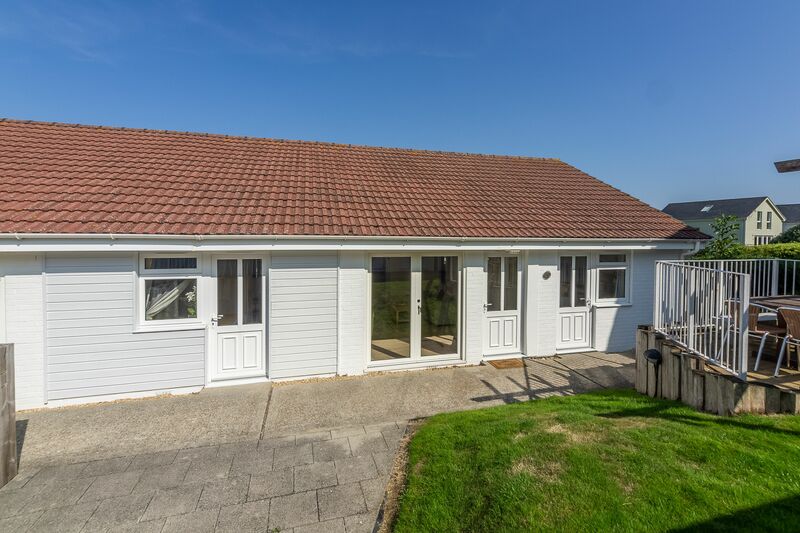 If you’re coming away with the family, this is an ideal single-storey cottage for up to six. 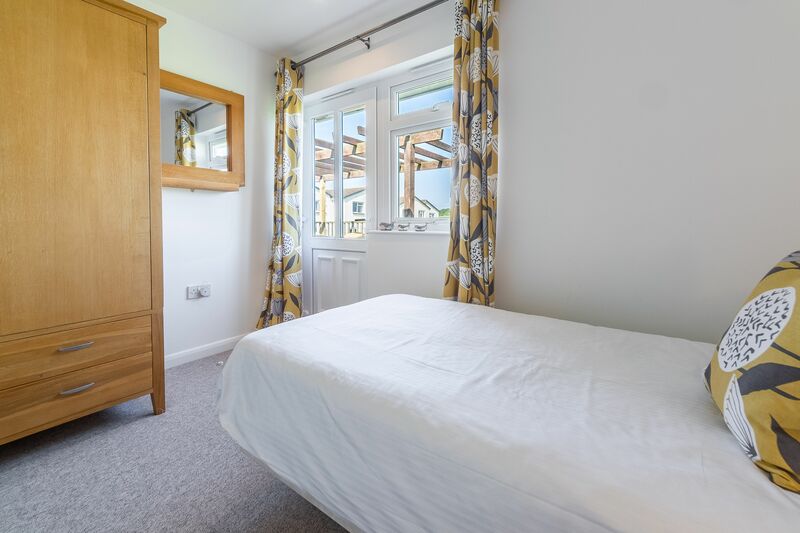 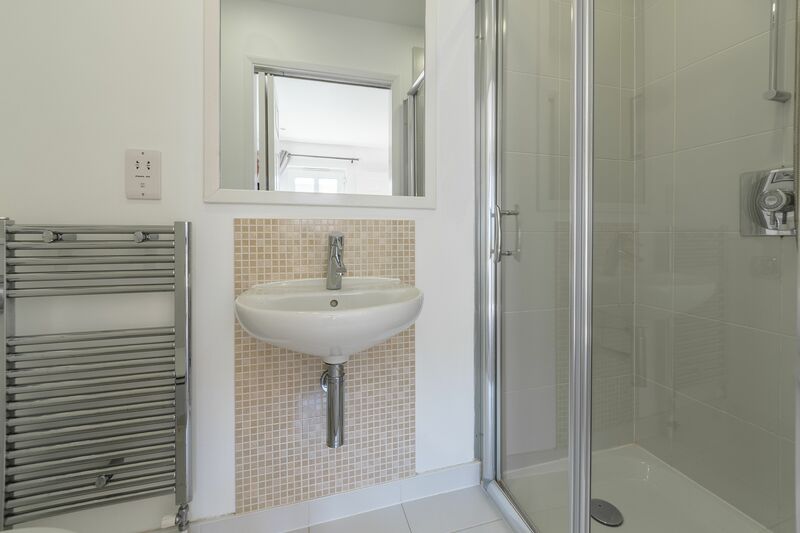 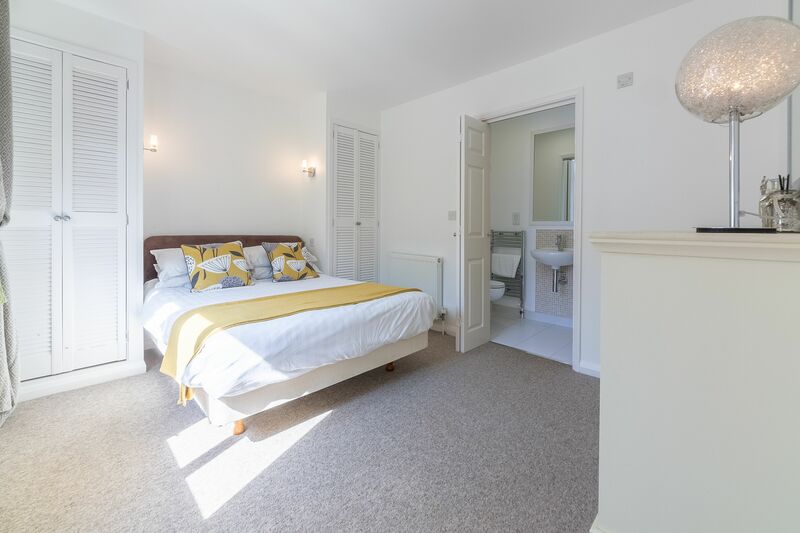 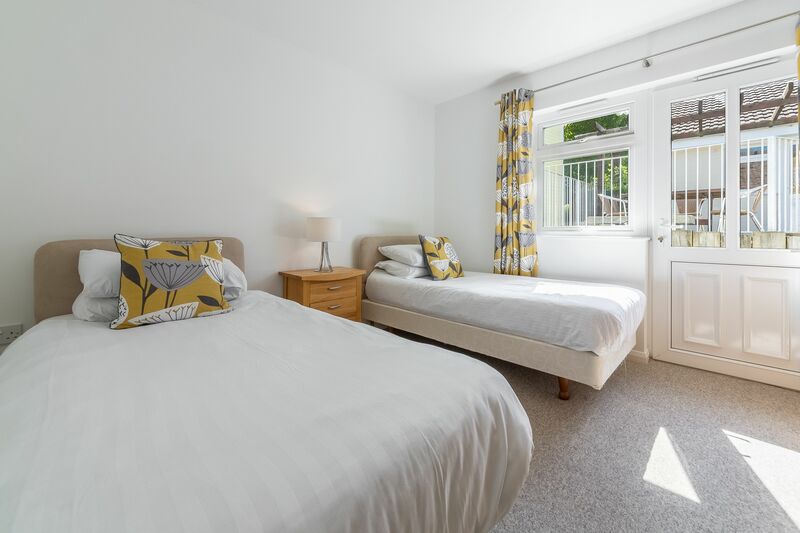 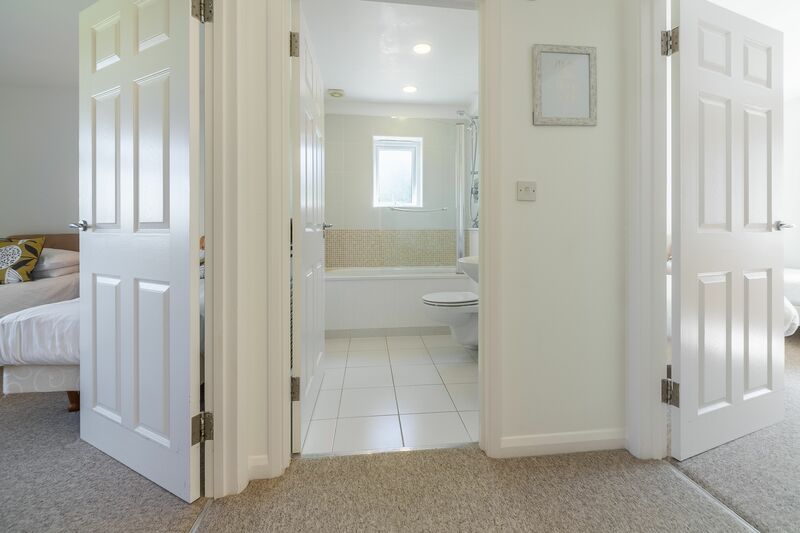 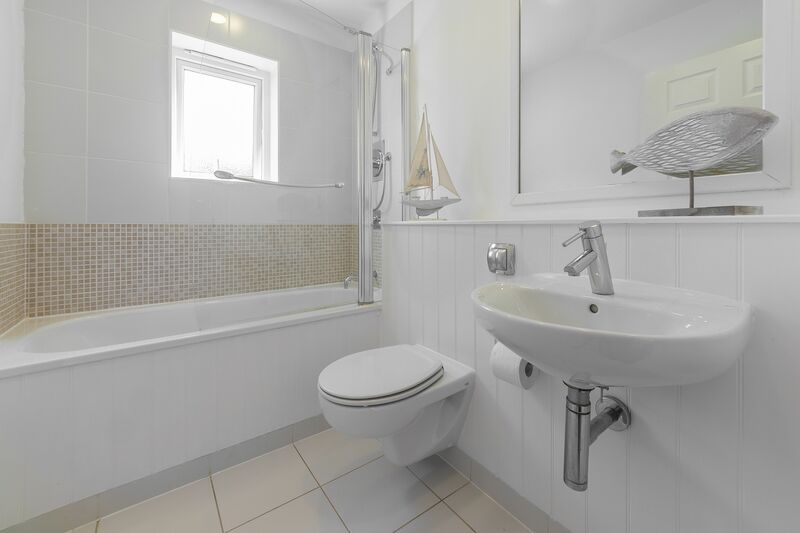 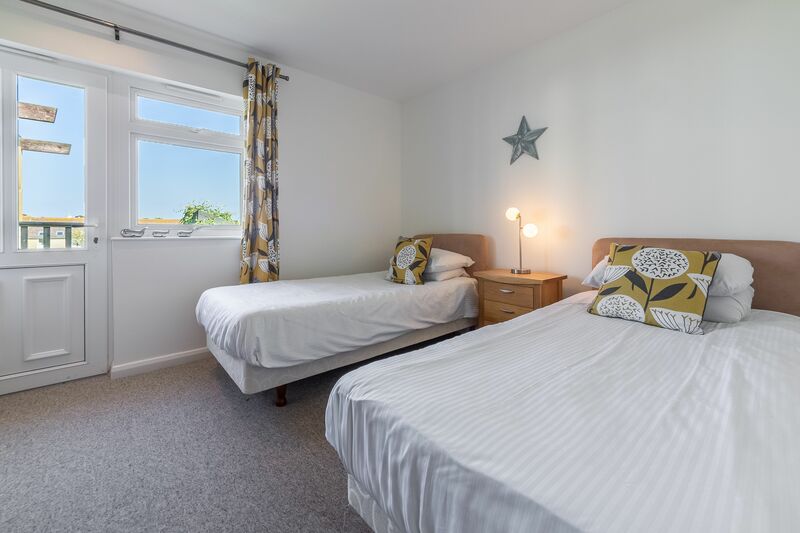 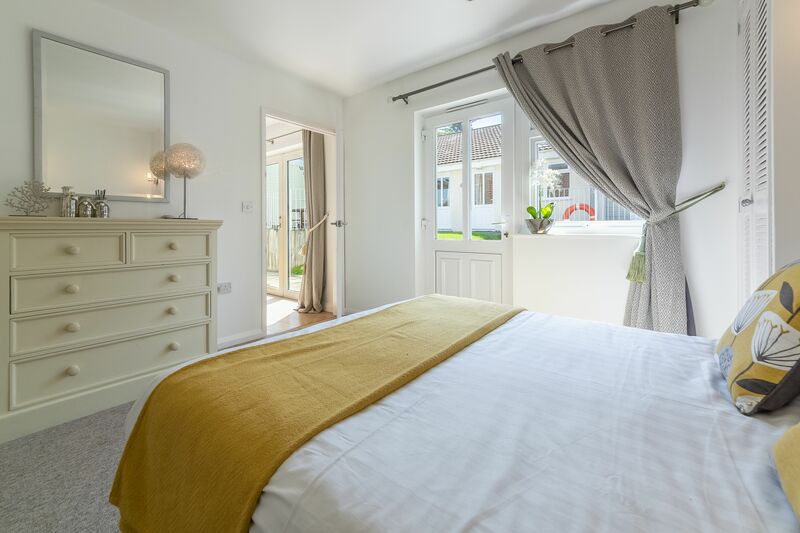 The master bedroom has a comfy double bed with an en-suite shower room, while the two other bedrooms have two twins, perfect for the children. 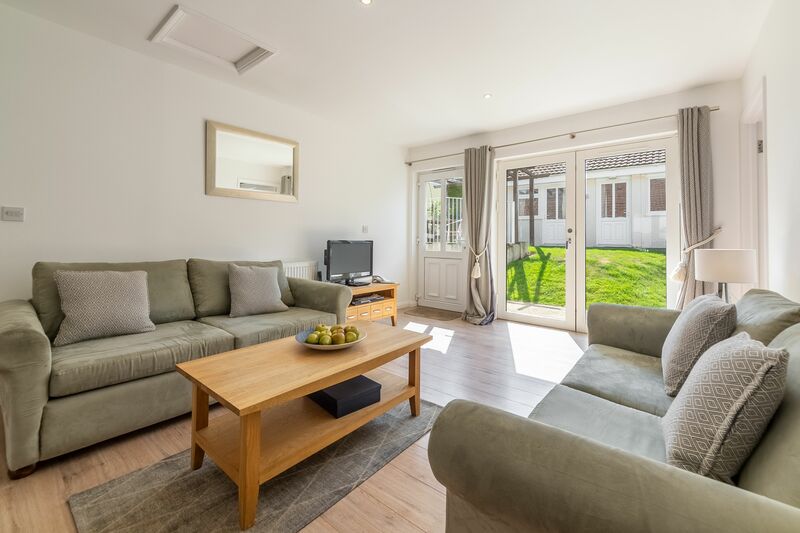 The main living space is an open plan room with kitchen and living room combined. 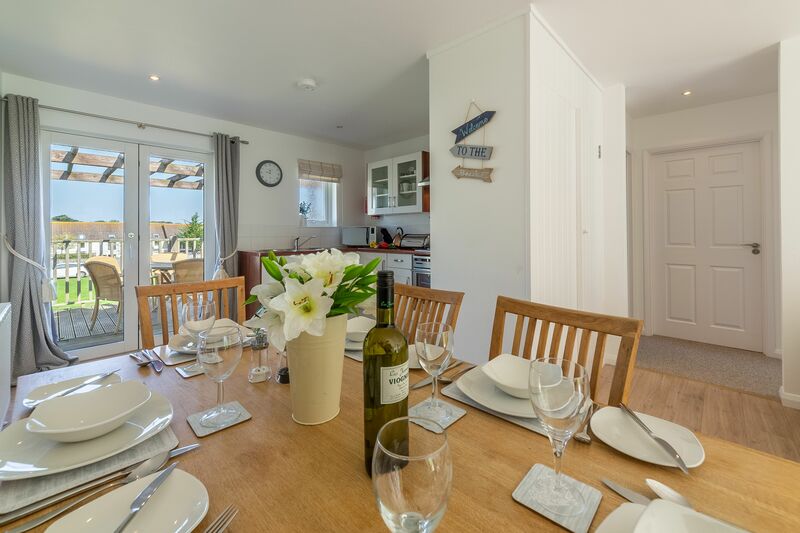 There’s a dining table for six, plus two double-seater sofas and a Freeview TV and DVD player to keep you all entertained. 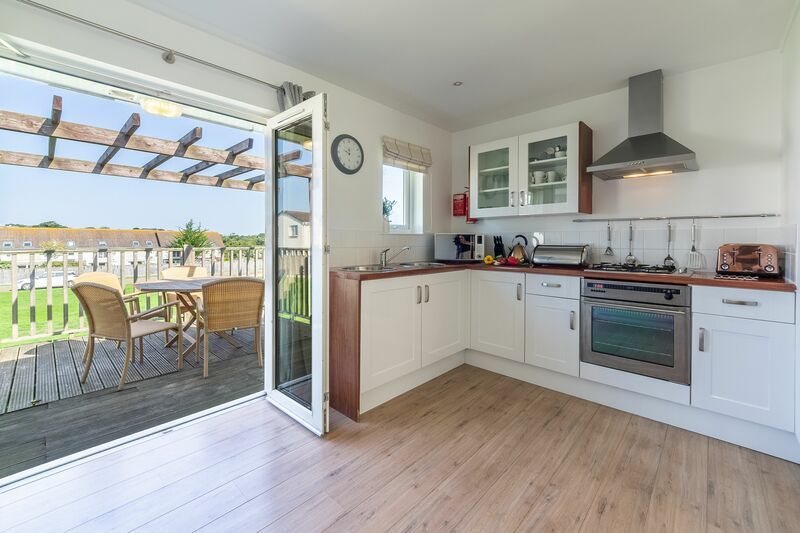 Outside, French doors open from the kitchen area onto a tasteful raised wooden decking patio, with a table and chairs. 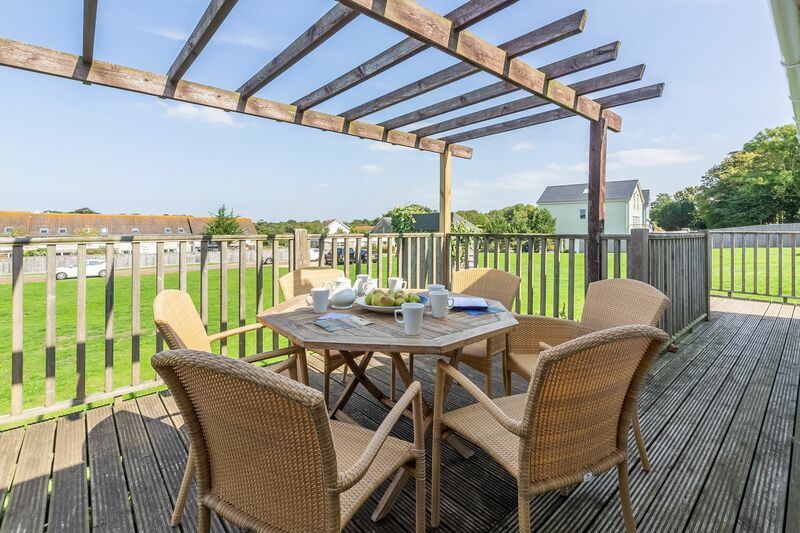 You could all dine al fresco here, or simply sit and look out on the activity on one of the communal greens beyond. 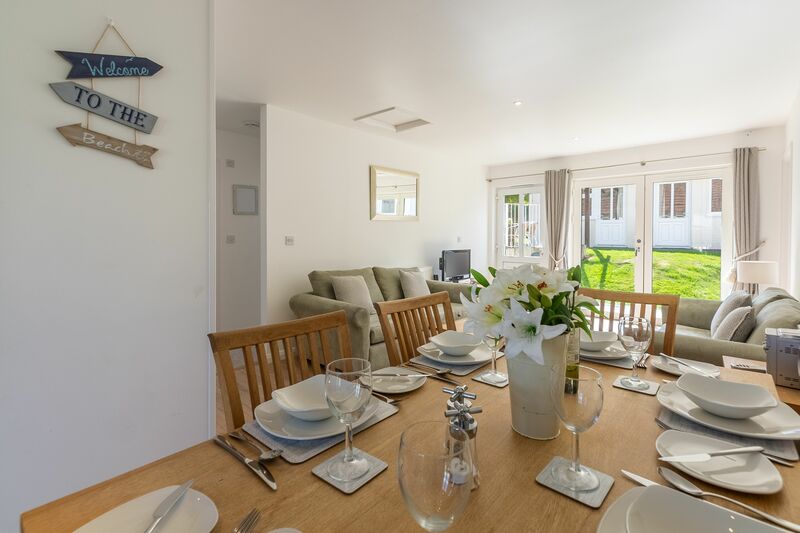 It’s the ideal space to go for a stroll of an evening, or for the little ones to strike up a friendship or two.